Celine’s first exposure to the hospitality industry was as an adolescent in her parents’ May Motel where she both sold and cleaned rooms while attending Youngstown State University. Upon marrying William Kovass, Celine and Bill began constructing single and multi-family homes in Ohio and Florida. From there, they began their journey in hospitality with the development of a 57-unit Best Western in Austintown, Ohio which opened in 1983. That was only the beginning as they either built and/or purchased eight hotels within the Hilton, Marriott, Choice, IHG and Carlson franchises, the most recent being a Fairfield Inn & Suites in Jeffersonville, OH. Currently, Celine oversees nearly $10 million in annual revenues from the company’s current hotel portfolio and Meander Hospitality Management. Her vision is to double that output over the next three years and maintain the company’s impeccable relationship with its employees, customers, vendors and franchisors. David is President of Meander Hospitality Management, Inc. and is a third generation hotelier. In 2009, he succeeded William J.﻿ Kovass, the company’s founder. Prior to becoming President, David served as General Counsel upon joining the company in 2007. 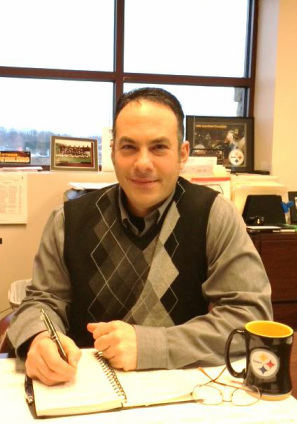 Before joining Meander, David was an associate attorney at the law firm of Rademaker, Matty, McClelland & Greve in Cleveland, Ohio, a position he held since 2002. David is a graduate of Cleveland Marshall College of Law and John Carroll Uni﻿versity where he earned a Bachelor’s degree in economics. David grew up in the Kovass family business working in motel and hotel operations and developments with his parents and grandparents. He is a member of the Ohio Hotel & Lodging Association, Ohio Bar Association, and Young Presidents’ Organization. Janet began her career in the hospitality industry in 1992. Through her hard work and outstanding performance she quickly worked her way up through the ranks into hotel management and beyond. 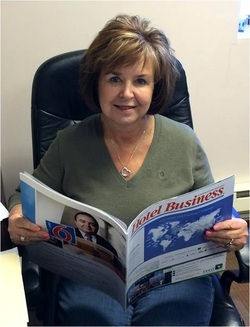 Janet has over 25 years of experience in both the full and focused service hotel brands. She holds General Managers licenses and Sales Certifications for multiple brands including; Hilton, Marriott, IHG, Choice, Carlson, and Best Western. Janet specializes in owner relations and is responsible for overseeing the companies day to day operations, monitors senior hotel managements overall performance and profitability at the property level and ensures efficient, effective and profitable operations. She also engages the companies’ hotel teams in providing superior product and service including development and training, quality assurance, budgeting, revenue management, sales and marketing. Janet is also responsible for overseeing project improvements and has direct involvement in the design and construction and opening of new properties.